RETRO KIMMER'S BLOG: THE FAB FAUX PERFORM REVOLVER MICHIGAN THEATER SATURDAY APRIL 5! THE FAB FAUX PERFORM REVOLVER MICHIGAN THEATER SATURDAY APRIL 5! Cannot wait to see this show! The Fab Faux will be performing The Beatles' Revolver this Saturday at the Michigan Theater in Ann Arbor! The musicians go all out to perform the legendary music of The Beatles and we are so excited to hear them! Saturday, April 5, 2014 at 8 pm. 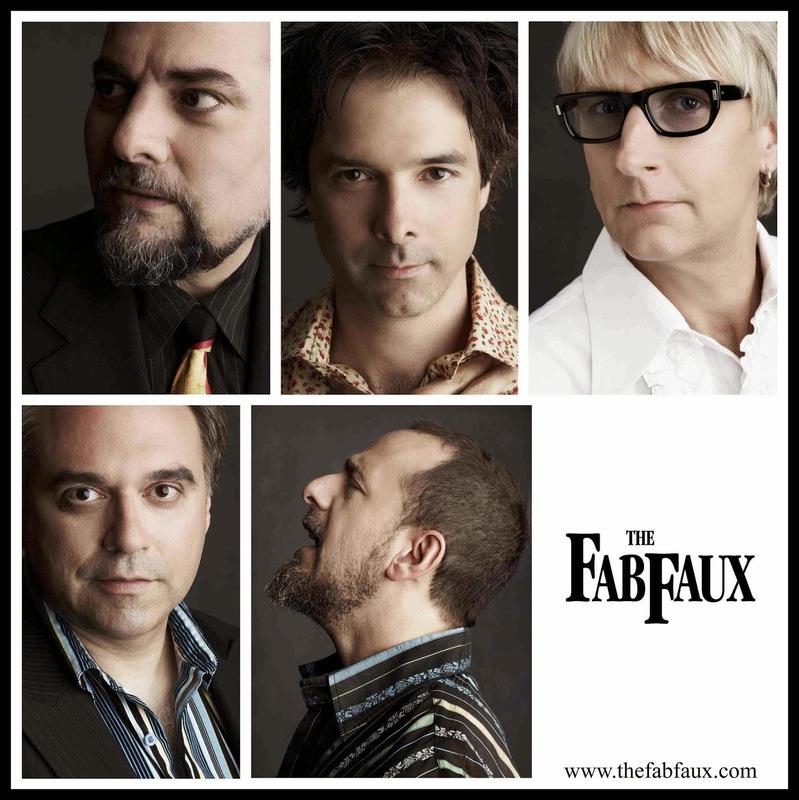 Following their three successes in 2011, 12 and 13, The Fab Faux will return to the Michigan Theater! This time they will perform the Beatles’ album, Revolver, in its entirety. The concert will include the rockers, the ballads, and everything in between. The group includes outstanding New York studio musicians – and lifelong Beatles fans - Will Lee (bassist in David Letterman’s band), Jimmy Vivino (guitarist and music director of Conan O’Brien’s band), drummer/producer Rich Pagano, guitarist Frank Agnello and ace keyboardist Jack Petruzzelli. With a commitment to the accurate reproduction of The Beatles’ repertoire, The Fab Faux treat the seminal music with unwavering respect, and are known for their painstaking recreations of the songs (with emphasis on the later works never performed live by the Beatles). Far beyond a cover band, they play the music of The Beatles so impeccably that one must experience it to believe it. Imagine hearing complex material like “Strawberry Fields Forever” or “I Am the Walrus” performed in complete part-perfect renditions; or such harmony-driven songs as “Because”, “Nowhere Man”, and “Paperback Writer”, reproduced not only note-for-note, but with extra vocalists to achieve a double-tracked effect. Reserved seats are $29.50-$65 with limited Gold Circle and VIP seating available. VIP Tickets also include a post-concert Meet & Greet with the band. Tickets are available at ticketmaster.com and all Ticketmaster locations. Charge by phone at 800-745-3000.